Winter brings real challenges. Last week so much of the country was dominated by snow with its beauty and difficulties. In the Northwest, where I live, El Nino has brought us rainy days one after the other. This part of the country is known for that. This is the first year in the three winters that I have lived here, that this has been really noticeable. 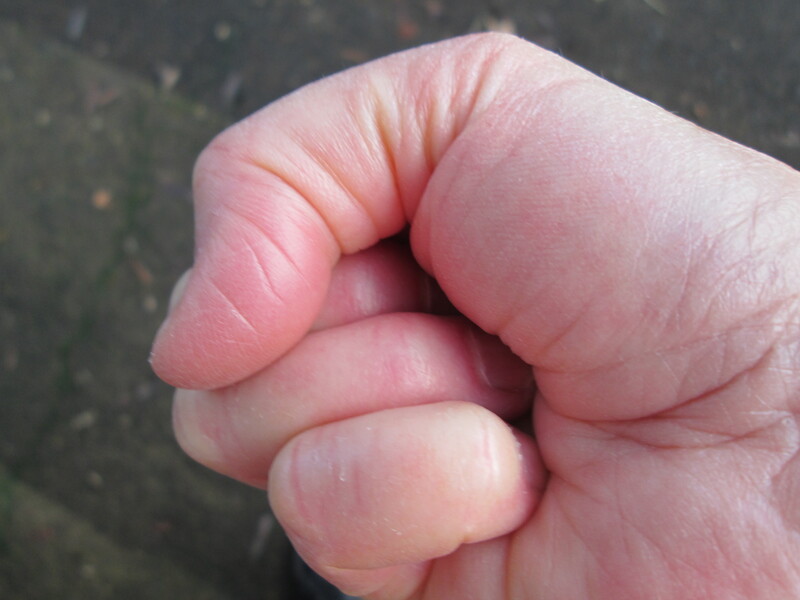 My first winter was cold, but it was interspersed with sunny days, or my memory is bad. Those of us who live here become used to those gray days. However, when the sun comes out, what a gift! Why, then, am I featuring this image of a bright green house with a turquoise door? I have noticed for me that color helps me through the darker days of winter. Before I moved here, I had heard that it a lot rained here. So what! Where I moved from, it had rained a lot, too. One of the things I have noticed here, is that many homes are painted colors I have never seen before. I have lived lots of places: California, Texas, Arizona, New Hampshire, Massachusetts, North Carolina, and in Europe. I’ve seen a lot of cities and towns. I’ve traveled across the USA by car trip, twice. What is interesting, is that there are so many homes that are painted in bright colors on their exteriors. Is this how people, who own homes here, uplift their spirits in winter and rainy seasons? Where I live, it is also a quirky small city. People don’t care what their neighbors think about their brightly painted homes. They satisfy themselves. My kind of people! Before I moved here, I made sure I had a bright rain coat. I had been living in the South, so I knew winters would be darker in the Northwest. Then I bought a second shorter rain coat, that is also a bright color. I also bought a bright color umbrella. I know color helps uplift my spirits. When I take walks, I see these bright color houses and feel a little happier, too. Have you ever asked yourself how color affects your mood? Does it uplift your spirits, too? For me, Dr.King is one of the greatest men of the Twentieth Century. He was an incredible writer and speaker, and he lived what he spoke in action. King was an exemplary example of a human being. Through him, I have learned a little of the story of many people of color. I was too young and unconscious at the time to understand how important he was while he was alive. For the last 20 or so years, I have been learning what a great human being he was, and also how I could be come an ally to all people of color, being a white lady. What do I mean by an ally. I am speaking of supporting others who many not be the “group” you belong to. I have close friends who are a African Americans, Latinos, Asians, and know of and have taught people who are Arab background. I can and do NOT live the experiences they have had to deal with, sometimes every day, but I can walk alongside them and can support them in their causes. I can have compassion for them and respect them and their needs. To understand history and what is so today, I have needed to understand the role that white folk have often played unconsciously, so I can learn what White Privilege is. Learning this helps me be a better ally. This is not about feeling guilty for what happened in the past. It is about waking up to what is so today, and what happened in the past. Here is start. Another thing you and I can do is pay attention to what is happening in the Black Lives Matter Movement. This is wake up call for all Americans of every color. It is hard being a police officer in the USA now, and it is time some of the rougher parts of the officers and police forces in large and small American cities be called out. We white citizens can play our part here. Our justice system is another huge stumbling block. You and I have plenty of work to do. I can financially support and participate with groups who support all Americans from all backgrounds and sexual orientations. This is what an ally does. It is NOT a passive role. This is about service- not ego. On Dr. King’s real birthday, January 15th, A friend shared a YouTube video of a Dr. King speech. What shocked me about it was that so few people had seen it. I want to share it on this blog. Dr. Martin Luther King, Jr. was a humanitarian and was working for all of humanity when he was murdered. He and all the people who were allies in the ’50s and ’60s during the Civil Rights Movement showed us how we can white folk can be allies today, if we choose. This way of the past in the USA of having two or three countries or even more within its shores, (We women understand this around how we get shorted in wages), instead of one country, where everyone ACTUALLY has the same rights is within our grasp. In the past and today in the USA, we have had a system which leaves out, and even abuses way too many Americans to keep the status quo and business as usual alive. We can do this work together as allies in action. We can support each other in this work spiritually and financially. Thank you, Dr. King, and all of the allies who supported the Civil Rights Movement for showing us the way! 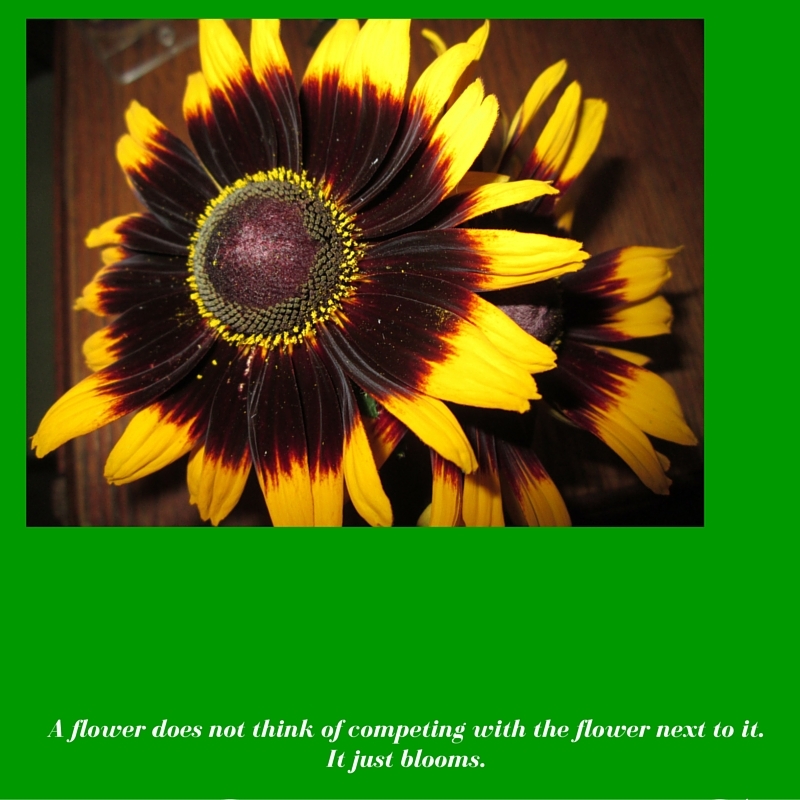 The quote about flowers just blooming and not competing, speaks for my dislike of competition, which started in my family. There are places where competition makes sense to me: in sports, for instance. Otherwise, I see competition and comparison as ways to divide and rank people. I think both of these ways of doing things do NOT help relationships with others, and for the bigger human picture, they do NOT help our planet. In education in the past we have believed that competition motivated children to learn. I think this kind of motivation is a false belief. How about instead, encourage a child to learn for him- or herself. This teaches children responsibility for themselves and that they are special in their own way. Children can then discover the gifts that they have to offer the world. They don’t have to compare themselves with others or compete. I have seen it for myself: I learn for myself. I have found I can finally learn who I am. Even though I was reared in a highly competitive environment. As adults when we let go of competition and comparison, we adult learners, finally can concentrate on our own strengths, or even learn what those are for the first time in our lives. We need to be willing to look within and ask ourselves: Who am I? 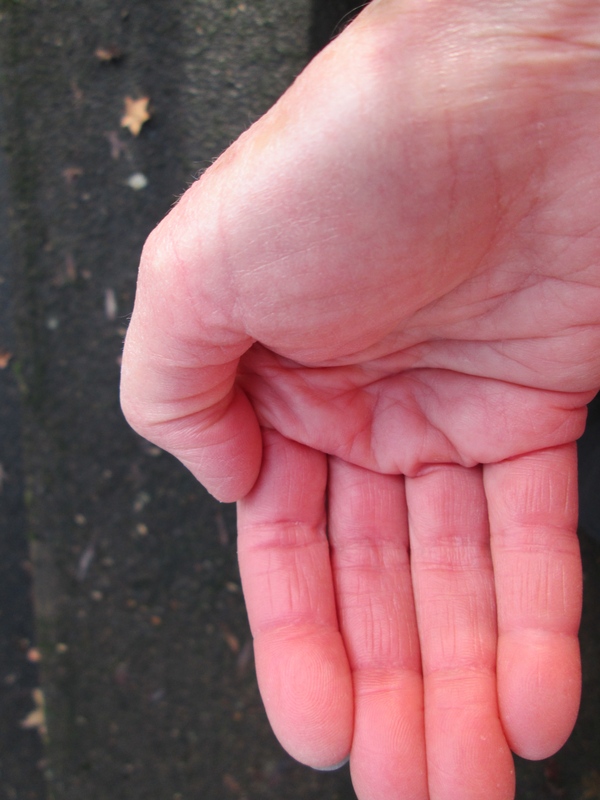 What gifts can I contribute to this world? What do I feel in a deep way? When I am saying WE, I include myself. This article talks about the stress that competition creates. This article probably was written by a student, and it has some excellent points. I still do NOT think competition works well when humans are learning, no matter what age they are. When we don’t compete with others, we feel we are able to ask for help when we don’t know something. If we fear that we must know everything because we are competing and comparing ourselves to others, then often we are afraid to ask questions, and thus, our learning lessens. Another part of competition that I find destructive, when we are competing outside of sports, is when we have an attitude that we must win at all costs. In business and other human relations, if I MUST ALWAYS WIN no matter what, then it is highly likely I would be willing to cheat, lie, and injure others. This behavior to me does not exalt us as human beings. It reverts us humans to “dog eat dog” behavior and the darkest part of human behavior. Compassion and caring about other people does not exist in an environment that fosters this kind of competition. I will NOT sign up for this kind of competition. Like most things in life, even competition has its place and fulfills a need which seems to be a part of many of us human beings. I don’t even get to be right about this because both competition and cooperation are a part of our world and have their places. I will continue to value cooperation more because of what I have seen and lived in my own lifetime. However, this is where I can to be open to competition’s value where it does work. I am very happy I live in a state that is getting rain. However, during December we had more rain than I have ever experienced here since I moved here 2 1/2 years ago. This weekend we got snow and ICE, so it is time to bring out the summer Sunflowers! 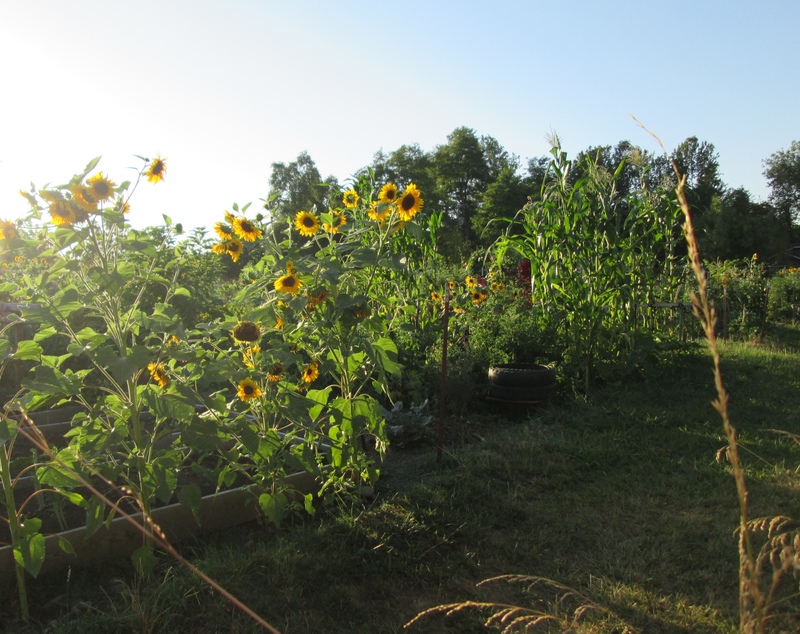 Thank you sunflowers for your happy faces. You are a humble flower that shows up in the late summer. Your bright color reminds me of the sun. 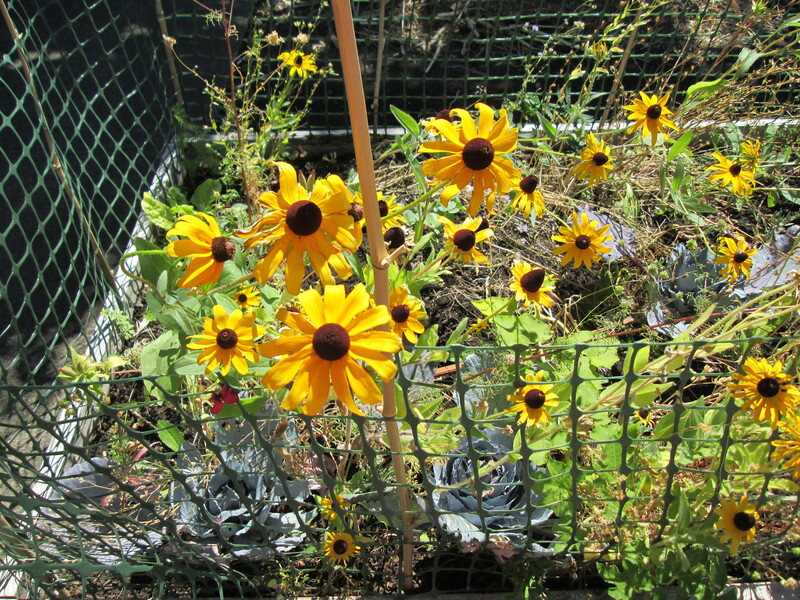 These are the really large sunflowers, the ones that give us seeds and sun chokes to eat. Tist is a generous flower that gives us good stuff to eat! Sunflowers give me joy when it gray outside. All I have to do is think about them, and my mood is uplifted. I found this TED Talk which is from the time-lapse photographer, Louie Schwartzberg, who uses his beautiful photos from nature and flowers to demonstrate gratitude for all that is and all that connects us together. 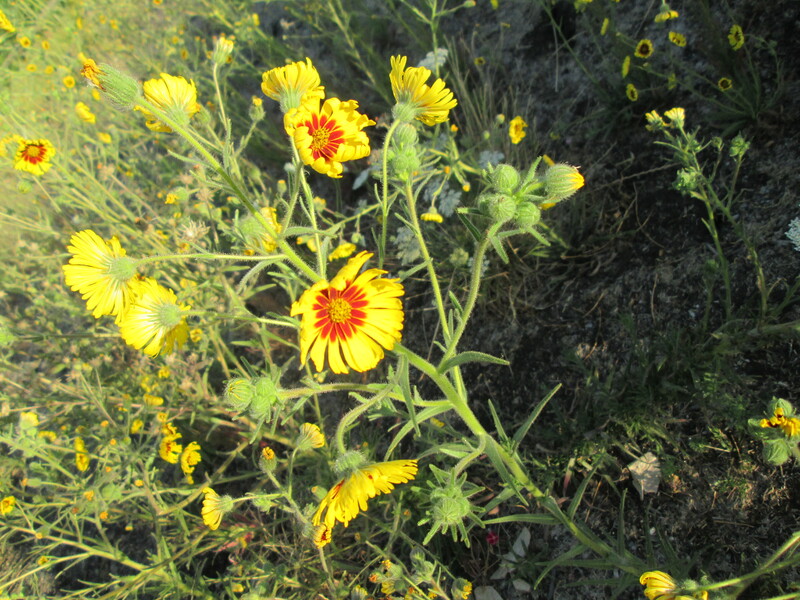 When I first took a photo of this flower (above) last August, there was a hillside of these happy flowers. Then I took walks for nearly 3 weeks in other areas. When I returned to where these flowers had been, because it had not rained, all the flowers had died and only dried flower stocks remained. You also may recall from my blogs, there were trees dying here, too, last summer. I am thankful for every drop of rain we are getting right now. This is a larger Susan, close up. I had the pleasure of its company (along with a few others) in my home for a week or two this last summer. There is no lowly flower. Have you ever really looked at a Dandelion close up? Yes. 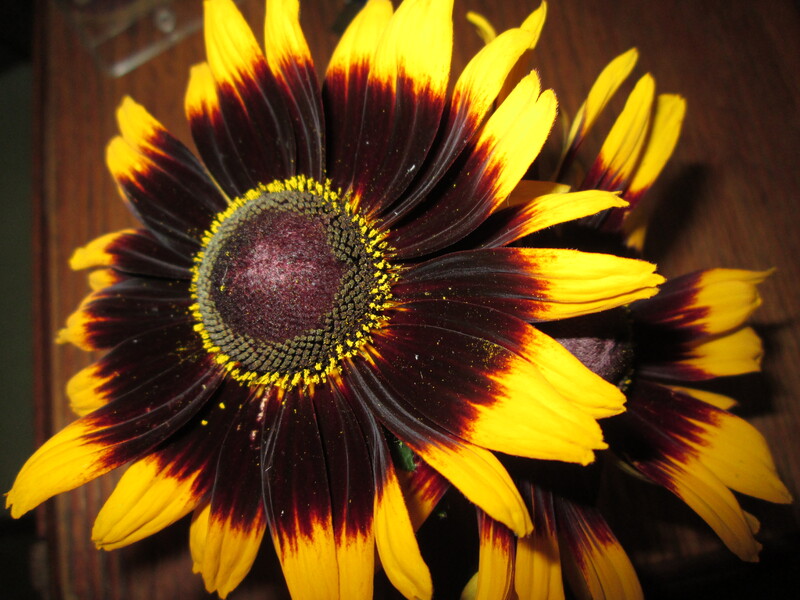 They are part of the sunflower family, which every 4th flower belongs to! 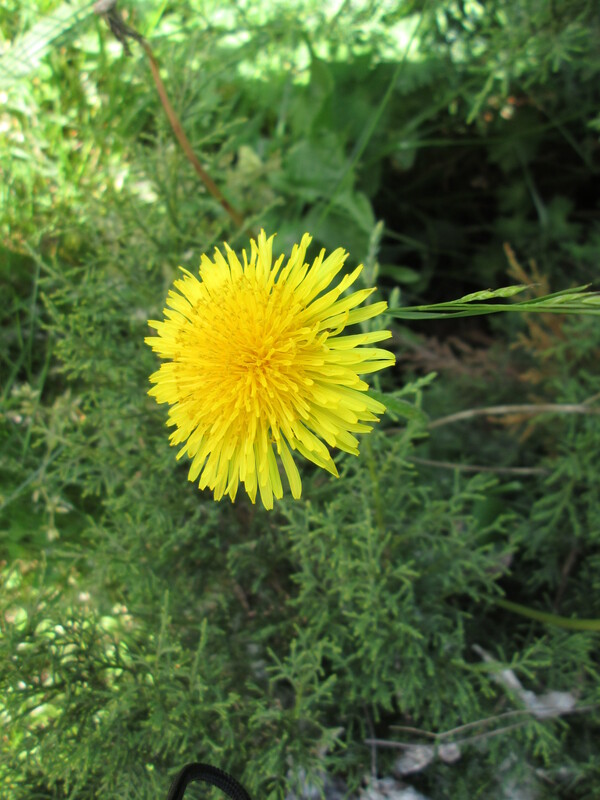 It is a beautiful flower, too, and every part of the dandelion is edible. When I don’t see dandelions in the winter, I miss them, too. *Both of these quotes were at: picturequotes.com Thank you!